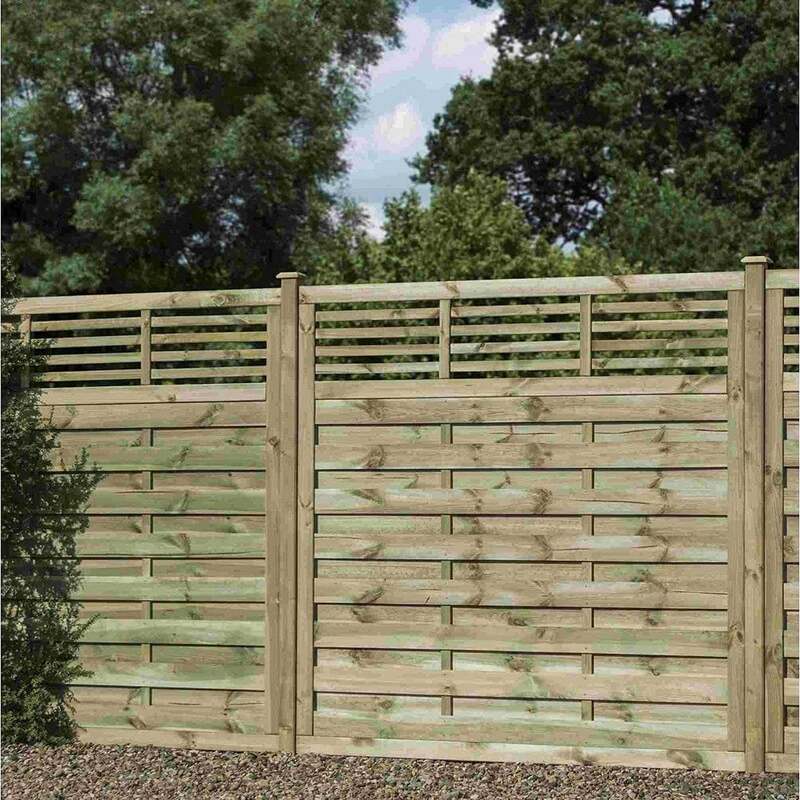 Rowlinson Langham Screen: The Langham Screen by Rowlinson is a wonderful and modern style fence perfecting for transforming your outdoor space. The Rowlinson Screen features contemporary interwoven look with horizontal slatted panels with a trellis top that will create a great border around your garden for ample privacy. The Langham Screen is available in three heights to suit your preference and has been pressure treated to prevent against rot with a natural timber finish.